RALEIGH, Jan. 26, 2018 — In the first nine days of the new year, the American Red Cross responded to nearly 60 percent more home fires than that same period in 2017. Red Cross volunteers across the country have already responded to 3,150 home fires in the first nine days of the year, compared to 2,003 fires in the same time period of 2017. This can be attributed to the recent string of dangerously cold days, as colder temperatures are often linked to a rise in home fires. Heating, holiday decorations, winter storms and candles all contribute to an increased risk of fire during the winter months, according to the National Fire Protection Association and the U.S. Fire Administration. The Eastern North Carolina Region of the Red Cross (53 counties) responded to home and apartment fires that displaced 267 families from Dec. 23, 2017- Jan. 23, 2018. That’s nearly nine families every day who were left suddenly in the cold and snow. In that one-month timeframe, the Red Cross helped 735 individuals with basic needs and a warm, safe place to stay as they began to piece their lives back together. The Red Cross is asking every household in Eastern NC to take steps that can help save lives. NATIONAL HOME FIRE CAMPAIGN SAVES 332 LIVES The Red Cross responds to as many as 64,000 disasters every year and most of these are home fires. Sadly, seven times a day someone in this country dies in a home fire. The Red Cross provides free smoke alarm installations. To request a free alarm, call your local Red Cross office, or visit www.soundthealarm.org/enc and fill out a request form. I am a runner, a cyclist, a swimmer, a triathlete, a marathoner, and an Ironman. I have MS.
Before I was 21, none of these were true. At the age of 21, I was diagnosed with MS. At the time, I knew little about the disease except that most of the people I knew with MS were in a wheelchair. I thought this was my fate and as a 21 year old with a full life ahead, this was hard to swallow. I began running and cycling, wanting to get the most out of my body while I still had the chance. What was first started out of what seems a necessity, has now turned into a passion. I no longer run for fear of losing my mobility, but rather for the enjoyment and challenge it provides. I continue to push my body, testing it both physically and mentally, wanting to grow stronger. Knowing I have the power to continue is what drives me. I am running MS Run the US (www.msruntheus.org) for those that can’t. I am also running to provide hope and to inspire those that have been recently diagnosed or who are struggling. I want to show that a diagnosis of MS is not an end-all, but an opportunity to open new doors. The advancements in therapies over the past 20 years have gotten us closer and closer to ending MS, and I am hoping this opportunity will bring us closer to ending the disease. 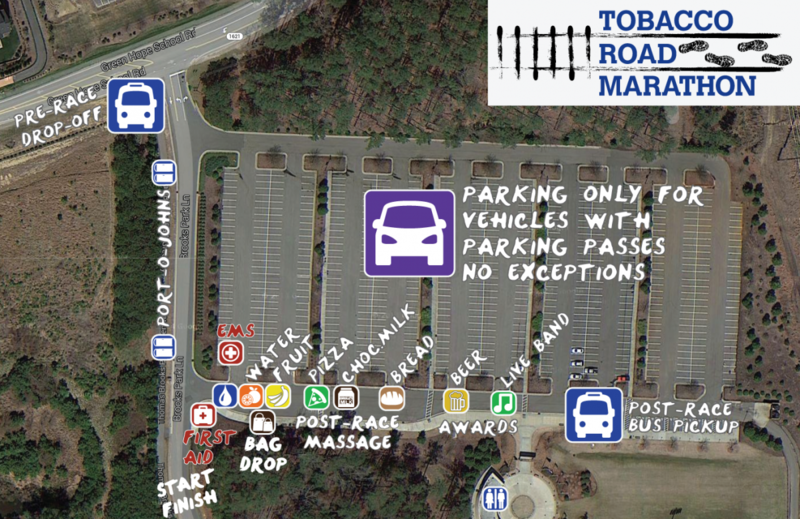 Tobacco Road will be my 19th marathon, and this year will be the second time I have run this race. While I have hopes of running a fast marathon and possibly qualifying for Boston, I know that it is only a stepping stone leading up to MS Run the US. The event is a relay from LA to NY with 18 people. Each person runs for about a week before handing this baton over. This summer, I will be running 148 miles over a 6 day period in Pennsylvania. This will be an average of 24 miles a day, essentially a marathon a day for 6 consecutive days. While I know that completing this event and meeting my goal of raising $10,000 will be a challenge, I know that others struggling with Multiple Sclerosis face the challenge just as great on a day to day basis. If you’d like to follow along on my journey as I train, fundraise, and run MS Run the US, like my Facebook page, Run Through MS (https://www.facebook.com/RunThruMS/).